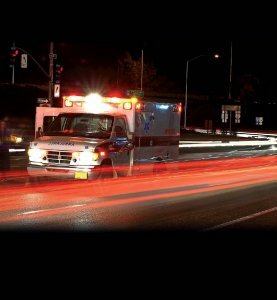 One Dead, Several Hurt In Back-To-Back Car Crashes | Schuler, Halvorson, Weisser, Zoeller & Overbeck P.A. One person was killed and four people hurt in a seven car chain reaction crash in Palm Beach County, cops said. The havoc began when a 29-year-old man, driving a 2011 Chevy north on the Delray Beach Expressway near Exit 12, rammed into the side of a 2012 Acura sedan. The 27-year-old woman behind the wheel of the Acura then lost control and slammed into the dividing median causing it to flip over to the southbound side of the roadway, where it smashed into a 2015 Jeep SUV, driven by a 48-year-old man. A 2011 Honda sedan, which was also heading south on the expressway, was then struck by debris from the collisions, cops said. Meanwhile, the Chevy continued north on the expressway, where it ultimately struck a 2012 Toyota SUV and a 2005 BMW, according to police. A 38-year old man of Wellington, was riding in the Acura when it flipped over. He was pronounced dead at the scene. Another man, who was riding in the Chevy, was also hurt. The 38-year-old was taken to a hospital in Delray Beach in stable condition. The drivers of the Honda, Toyota and BMW refused medical attention. About an hour earlier, an FHP patrol car was also caught in a smash-up. Two officers were driving near 102nd Street and 45th Avenue when their vehicle was T-boned by a man driving an Acura MDX. The Acura driver, 25, initially ran from the scene but was later taken into custody, police said. Charges were pending. The officers were taken to Delray Medical Center in stable condition.